If you are looking for something to do with the kids while school is out, Hiho Batik is open on Wednesday, Halloween Day, and is donating a portion of profits to a local relief fund for victims of Hurricane Sandy. Hiho Batik moved to the Gowanus/Park Slope area, at 184 5th Avenue, from Miami this summer, as the owner, Julia Silver Gordon, moved with her family to Cobble Hill. 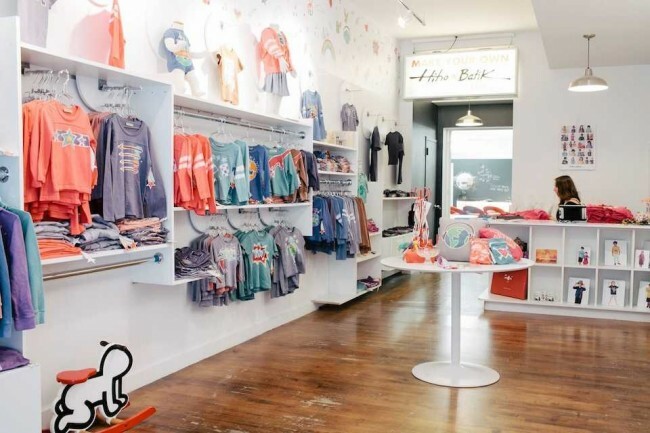 The popular, “experiental” retail store provides a crisp clean art space for kids to create one-of-a-kind T-shirts, as well as other garments and accessories. It’s hours of fun and the shop is designed for hanging out. All designs are handmade onsite using 100 percent cotton material to create high-quality, designer apparel. “We are so lucky and grateful that our new flagship location in Brooklyn was spared any damage but we are, of course, concerned for our friends and neighbors,” Gordon says. Check out the store’s site.